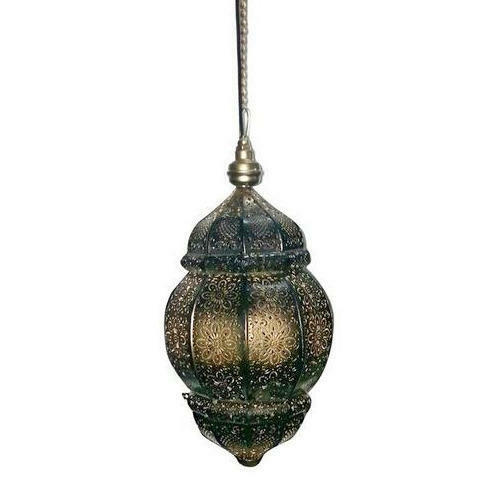 We are successfully meeting the requirements of our clients by offering the best quality range of Iron Ceiling Hanging Light. Established in the year 2016, we “Yadu Metals” are a distinguished Manufacturing, Wholesaling and Exporting of comprehensive assortment of Metal Votives, Wall Lamp, Hanging Light, Garden Products, Metal Wall Art, Candle Holder, etc. These products are manufactured using best grade raw material and advanced techniques. Under the able direction of our mentor, “Mr. Akshey Kumar Singh", we are able to satisfy our vast client-base.